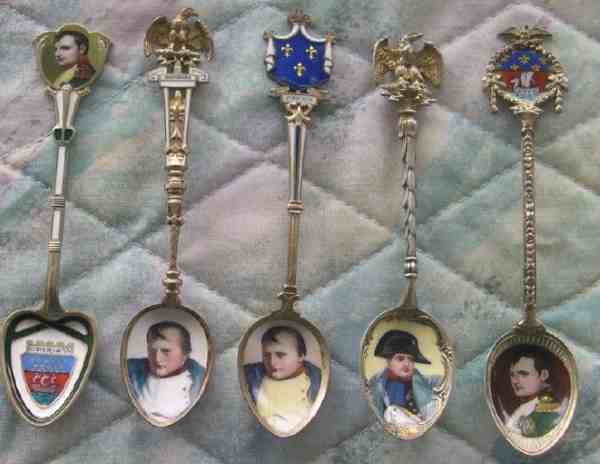 It is fun when I can use spoons to document important historical events which have shaped our civilization. This article was inspired by a new acquisition, a spoon with a coin bowl and teeth on the finial. In 1805, Napoleon defeated the Austrians and the Holy Roman Empire was divided into different administrative areas. Tyrol was given to the Bavarians. The area known as Tyrol (Austria which includes Innsbruck and Ischl) was ceded to Bavaria (S. Germany). Tyrol was staunchly Catholic and conservative and strongly preferred the Holy Roman Empire for ideological reasons. The new authorities closed seven monasteries and some churches and expelled some religious leaders. In addition they conscripted young men into military service, raised taxes and limited trading opportunities (particularly cattle) between Tyrol and Bavaria. Economic conditions became very bleak and there were many business failures. salt-measure in right hand, crosier in left, XV in frame below, all in beaded circle". In 1809, the people of Tyrol rebelled against the Bavarians under the leadership of Andreas Hofer, a very conservative Catholic innkeeper whose goal was to restore the previous Hapsburg order. Hofer's motto was "for God, the Emperor and the fatherland". The Bavarians suffered very heavy losses as the Tyroleans were much more adept at fighting in the mountains and in heavy snow conditions. One of the Tyrolean advantages was the development of a snow shoe which gave them much more mobility in deep snow. On August 13, 1809, the Tyroleans defeated the Bavarians in the third battle of Mount Ischl. The next morning, Hofer assumed power in Tyrol and began every day with a Holy Mass. The treasury was empty, and one coin style was authorized by Hofer. With the warfare and lack of farming, crops failed and food became scarce. In October of 1809, Austria (Hapsburgs) signed a peace treaty with Napoleon and abandoned their support for Hofer. In the fourth battle of Mount Ischl, Hofer was forced to surrender. He fled, was betrayed and arrested, and taken to Italy where he was executed. During this short lived rebellion only one style of coin was minted. In good condition this is a very rare silver coin. This 20 Kreuzer coin was only minted in 1809 and made out of 585/1000 quality silver. It is about 27mm or about the size of a quarter. Also notice there are two tiny cow teeth mounted at the finial with silver wire wrap. Apparently the Bavarian occupation government angered the local populace by raising taxes and barring the export of cattle into Bavaria . 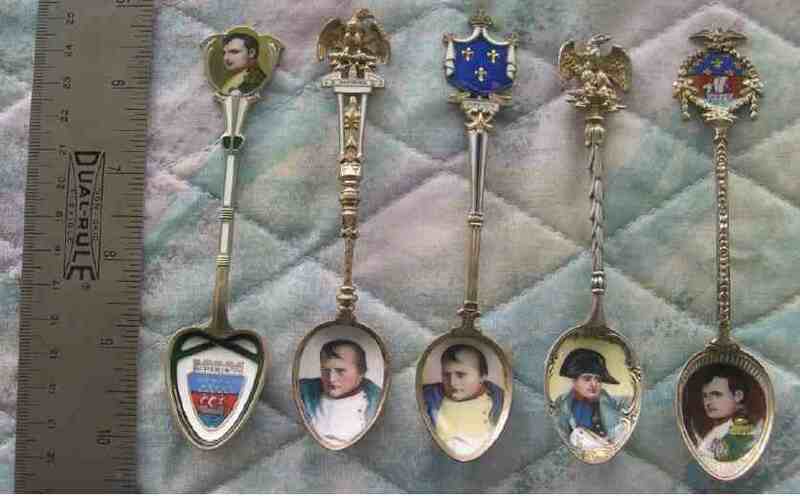 This article is published with the kind permission of Wayne Bednersh, the owner of http://Spoonplanet.com "The Souvenir and Commemorative Spoon Planet Museum" website. This website is organized as an on-line virtual museum and there are about 500 different exhibits and about 4000 different spoons. The site is sponsored by the Spoon Club of Southern California (SCSC), a non-profit group of spoon collectors organized to help its members to better enjoy their spoon collecting hobby.